The early years of the twentieth century were a formative time in the long history of struggle for black representation. More than any other medium, movies reflected the tremendous changes occurring in American society. Unfortunately, since they drew heavily on the nineteenth-century theatrical conventions of blackface minstrelsy and the "Uncle Tom Show" traditions, early pictures persisted in casting blacks in demeaning and outrageous caricatures that marginalized and burlesqued them and emphasized their comic or servile behavior. By contrast, race films—that is, movies that were black-cast, black-oriented, and viewed primarily by black audiences in segregated theaters—attempted to counter the crude stereotyping and regressive representations by presenting more authentic racial portrayals. 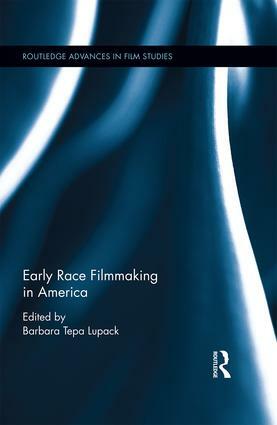 This volume examines race filmmaking from numerous perspectives. By reanimating a critical but neglected period of early cinema—the years between the turn-of-the-century and 1930, the end of the silent film era—it provides a fascinating look at the efforts of early race film pioneers and offers a vibrant portrait of race and racial representation in American film and culture. Barbara Tepa Lupack, former professor of English at St. John’s University and Wayne State College and academic dean at SUNY/ESC, is author/editor of more than twenty-five books. Helm Fellow at the Lilly Library at Indiana University (2011) and Lehman Senior Scholar/Fellow at the Norman Rockwell Museum (2014-15), she is currently one of New York State’s inaugural "Public Scholars" (2015-2017).